Have you ever been in your car singing along to your favorite song, driven past an open plot of land in a neighborhood and thought to yourself how perfect it would be to build a house on it? Well if you have, you are not alone! A question we get asked all the time here at Jerry Pinkas Real Estate Experts is: “if I buy a piece of land, can I build a house on it later?” And the answer, simply put, is yes! And as you may have guessed, that is exactly where today’s blog is going to take us. You are absolutely able to purchase a plot of land and build your dream house on it later, and there are actually many communities around the Myrtle Beach, SC area that we can show you, and parcels of land we can help you envision building on. So if you have ever thought of buying land, mapping out your dream home and building it when the time is right for you, then you do not want to miss today’s post. We will be talking about some of the perks of buying land and building on it, some of the factors that go into what type of home you can build and what you can do if you are looking for a trusted and experienced contractor in Myrtle Beach, SC to use that will be the best fit for you and your needs. Let’s jump right in! What are the perks of buying land and building on it later? As you could imagine, there are many perks that come with purchasing a piece of land, planning out your dream house and building it on your terms and timeline. And one of the main perks is that last part: your timeline. 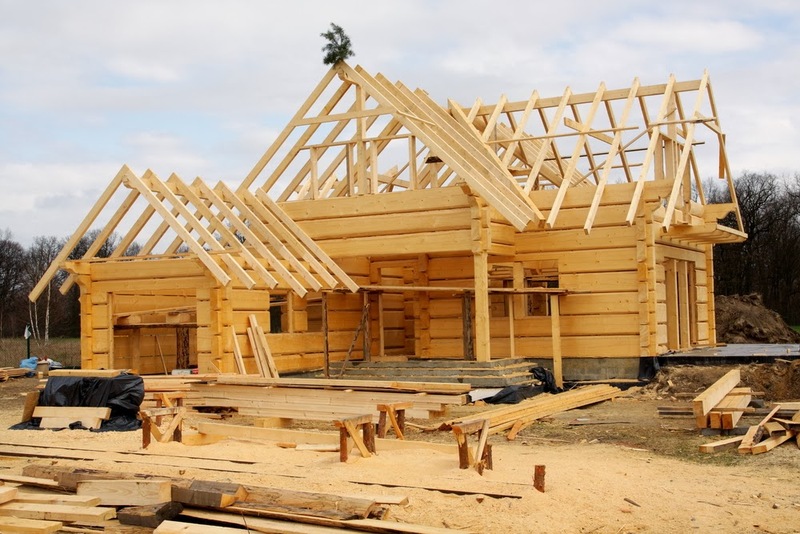 If you are going to take the time, energy and money to build a home from start to finish, the last thing you want to do is feel rushed with the process. Having the flexibility of when you want to start building on the land will allow you to do research, make plans and ensure that everything is how you want it prior to starting the build out. Taking your time and starting when you are ready is a good way to help ensure that things will go smoothly and you will love the end result of the project. Another (obvious) perk to building on a piece of land is that everything will be new and you will be the first person to live in the home. This may not be a big deal to some, but most people love the idea of no one living in the space prior to their arrival. There will be no stains on the carpet, no holes in the wall or chipped paint around the door frames. And while these are all small things that can easily be fixed in an older home, the freshness and newness of a just-built home is a huge draw for most families and is a large factor in them choosing to go this route. And on that same note, another perk to buying a piece of land and building on it later is that you have time to research everything you want to incorporate into your house. Close your eyes and think what your dream home looks like. What color are the walls? What appliances are in the kitchen? What do your countertops look like? What finishes do you want to incorporate? Do you have wood floors or tile throughout? These are all aspects that you will most likely be able to pick and choose from when building your home on the piece of land you purchased. Having the house built to your exact wants, needs and taste can end up saving you time and money as opposed to buying an older home and having to update and/or fix things around the house. And that is always a win in our book! What factors go into the type of house I can build in a specific area? There are many factors that can contribute to the type of house you are able to build in a specific area and neighborhood. A few of these factors include geography, where the land is located, the type of homes that are being built, as well as what is allowed and what is not allowed. If the neighborhood has an HOA (Homeowners Association), then there may be specific guidelines that you have to adhere by for the look of the exterior of the home, like paint color and design for example. There are many questions that are sure to arise in this department, but our experienced team of realtors will help you answer each one that comes up and navigate the waters. Can you help make recommendations on contractors in the Myrtle Beach, SC area for after the land is purchased? From a builders standpoint, here at Jerry Pinkas Real Estate Experts we get asked a lot if we can help to point people in the direction of a good contractor to help them build their dream home in Myrtle Beach, SC. And the answer to that, again simply put, is yes. Why is it so important to find the right contractor you ask? Well, it is important to understand that every community has a different dynamic to it. There are certain communities in which we would recommend a specific contractor and other communities in which we maybe would not recommend that specific contractor. This goes to further point out how important it is to work with a team that not only knows the local real estate comps but also is in tune with the communities themselves, the build-outs of these communities and the right contractors to connect you to. And we can help you avoid getting into bed with contractors that you should stay away from. This will help to save you time, money and aggravation down the road. And when you are taking on a large project, every saved penny and nerve is a good thing! What should I do if I am interested in buying a piece of land in Myrtle Beach and building on it later? If you or someone you know is interested in buying a piece of land in Myrtle Beach, SC now and building on it later, be sure to give our experienced team here at Jerry Pinkas Real Estate Experts a call today! We understand the potential hesitation of taking on such a big project and realize that questions are sure to arise before and during the buying process. And that is where we come in. Our team is here to help guide you every step of the way to ensure you have the best and most successful buying experience possible. As we discussed above, buying land and building on it has many perks and is a great option for those looking to customize and build their dream home, when the time is right for them. Allow our experienced team to sit down with you and understand your wants and needs, and show you potential areas and plots of land that may be suitable for what you are looking for. We have helped many individuals, couples and families find their perfect land to build on, and we know we can do the same for you. This is what we do, we do it every day and we are good at it. Give us a call today, we look forward to hearing from you and working with you soon!